I once started digging over a neglected patch of weeds in our allotment and a few weeks later was still going, pulling out all sorts of junk including an old oil drum and substantial remnants of what, thirty years before, had probably been a greenhouse. 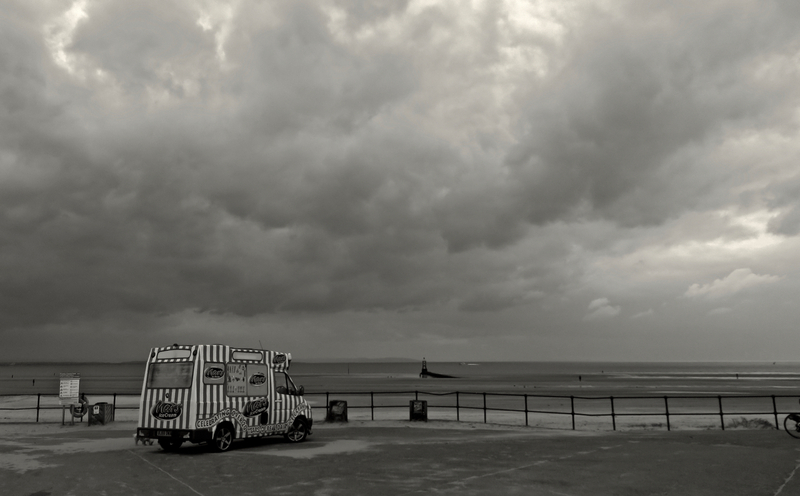 It was a pain in the arse, but nevertheless I did wonder what I was going to find, so it had a strange fascination to it. A dead body, I was expecting at one point. 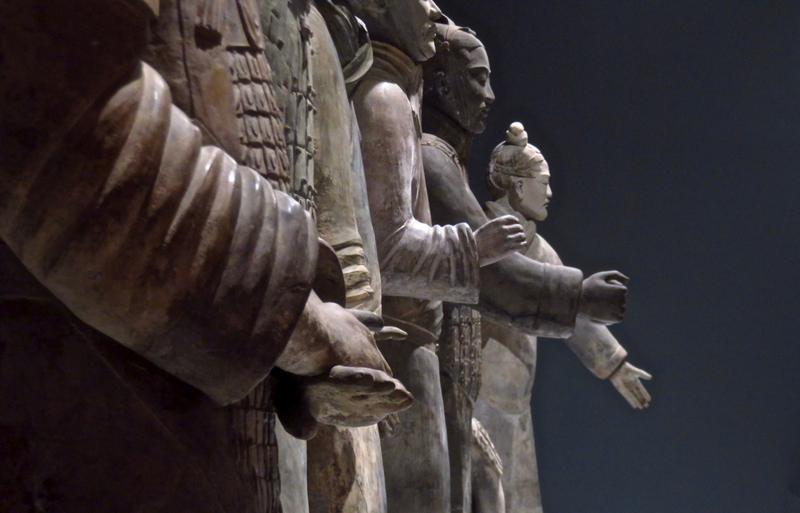 Imagine then the feelings of the guys who in 1974 started digging a well a few miles from Xi’an, in China, and uncovered the first inklings of the massive army of thousands of life-size clay figures that we now call the Terracotta Warriors. Forty-four years later, they’re still digging and still pulling them out. Seven of the figures are currently off on a world tour, and presently displayed in an exhibition in the World Museum, Liverpool. It’s their individuality that impresses — and yet, it was probably easier for the makers to construct them all different rather than all the same, as each was made individually, not mass-produced in a mold. They don’t do much, of course — but they were worth seeing. At least, it gives you an insight into just how megalomaniac were ancient rulers like Emperor Qin. 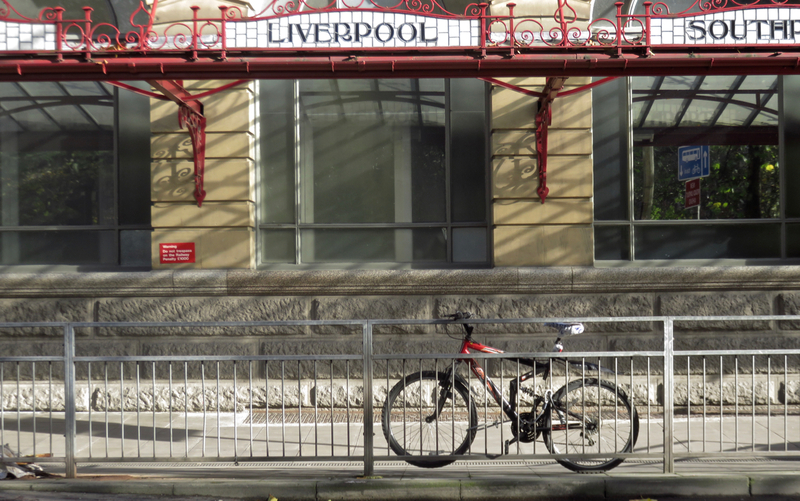 Or Southport, or Bury, which are other towns named on the facade of Victoria station in Manchester and to where one can still catch a train…. unlike Fleetwood, Goole and other places where trains haven’t gone from here in a long time. Hope he/she locked their bike securely, wherever it was. A work trip to Liverpool today (which thanks to recent events required a train tour of most of West Yorkshire and Lancashire to reach). After I had finished there was time to pop into ‘Paddy’s Wigwam’, a.k.a. 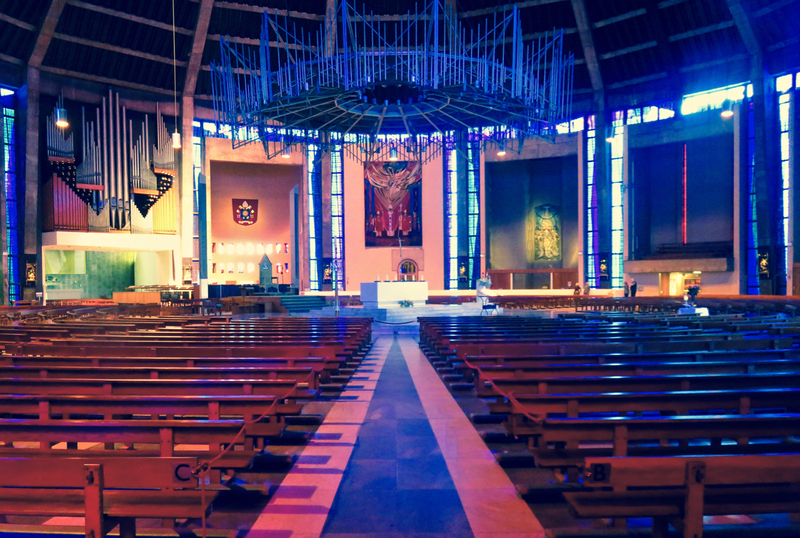 the Metropolitan Cathedral of Christ the King, a modernist masterpiece that started falling down soon after it was finished in the 1960s but seems now to have been finished properly and become a permanent fixture. It is one of those buildings that is very difficult to capture from close up or from any single point within. I changed my mind about this shot at the very last minute but I guess it is my best attempt: I like the way there is no ‘front’ to it, instead the altar is in the centre, which feels more democratic. When in Liverpool, go see the Mersey. Although in the end that’s just marketing of a sort. After all, no one has a sudden urge to go see the Mersey when they visit, say, Stockport (another town that this river runs through). This is also how I felt this morning after our night out in Liverpool. 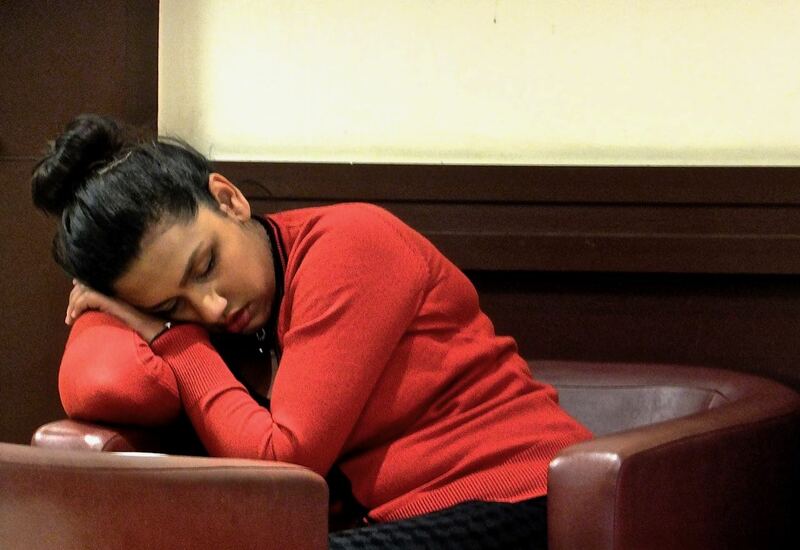 I hope this woman didn’t miss her train — she was asleep in the cafe at the railway station for some time. 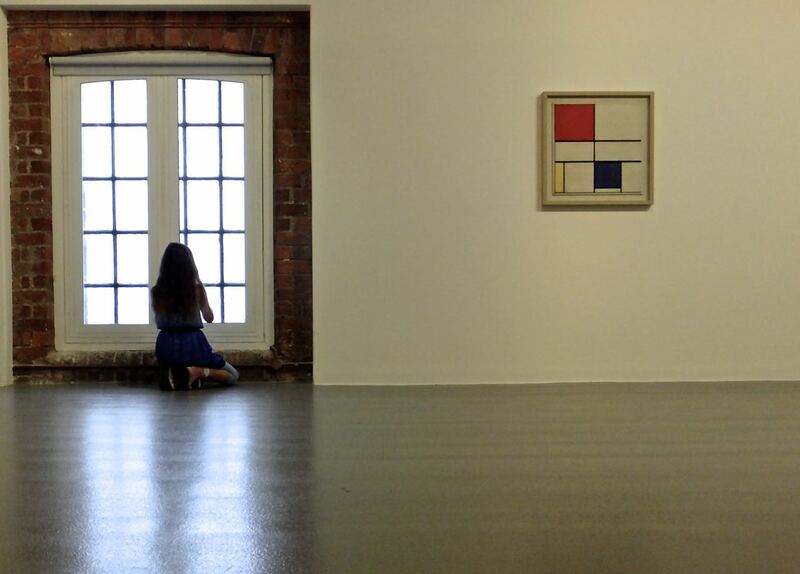 As if there hadn’t been enough art last week, a trip to the Mondrian exhibition at the Tate in Liverpool. “Please don’t take pictures of the art,” we were told, “but you can take pictures of the view from the windows.” Well, OK then — here’s a bit of both.